Many families have no other option than to place their loved one in an Illinois nursing facility in the hope they receive the highest level of health care and hygiene assistance. In many incidences, the child, parent, grandparent or sibling requires ongoing monitoring and supervision by a nursing team that develops and implements effective Plans of Care and interventions to ensure the resident safety and maintains their highest well-being. Unfortunately, not all nursing homes adequately train their nurses or provide patients with the highest level of care. Rosenfeld Injury Lawyers LLC provide legal representation, advice, and counsel to residents of Illinois nursing skilled facilities like Rosiclare Rehabilitation and Health Care Center who have been neglected, abused and mistreated. 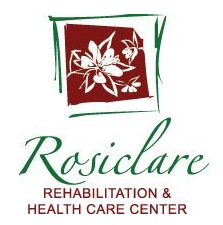 As a part of the Peterson Health Care System, Rosiclare Rehabilitation & Health Care Center provides Alzheimer’s care, memory care, skilled nursing care and the Peterson Pathways Rehabilitation Program. The state of Illinois and the federal government routinely update their nursing home database system with complete details of all filed complaints, opened investigations, health violations, and safety concerns. The search results can be reviewed on numerous sites including Medicare.gov. Throughout October 2015, the resident’s Behavior Monitoring Record revealed that “the behavior of throwing things in the room and spitting occurred on nine days, [...and] on eight of those days, the only intervention used was ‘redirected to other areas’ and the outcome was evaluated as the behavior was not changed." Additional interventions including allowing the resident to vent their feelings and being removed from the situation failed to improve the resident’s behavior which continued throughout November and the beginning of December. Notations were made that the same records documented on 12/09/2015 revealed that the resident “exhibited self-isolation and that five interventions were attempted, but there was no documentation of the outcome." The following day, “self-isolation is again documented for [the resident]" where the nursing staff attempted interventions include removing the resident from the situation, redirecting their activities, Social Services, and maintaining eye contact. It was noted that the resident’s behaviors were unchanged and that no new interventions were added. The facility Social Services Designee Stated on the Afternoon of 12/16/2015 that they monitor the resident’s “Behavior Monitoring Records monthly to check for completeness of documentation and to review the behaviors being exhibited by [the resident]. After reviewing [the resident’s] Behavior Monitoring Record for the past three months, [the Designee’s] knowledge of the record showed that intervention being used with [the resident] was not effective, other interventions listed on the Behavior had not been attempted regularly and new interventions had not been added to these records." If you and your family believe that your grandparent, parent or spouse died prematurely or suffered serious injury while a resident at Rosiclare Rehabilitation and Health Care Center, contact Rosenfeld Injury Lawyers LLC today. Allow our seasoned Rosiclare attorneys to file your claim for compensation against all those responsible for causing harm to your loved one. Our years of experience can ensure a successful financial resolution to make sure your family receives the financial recompense they deserve. We encourage you to contact our Hardin County area elder abuse law office today by calling (888) 424-5757 to schedule your complimentary, no-obligation comprehensive claim evaluation. You are not required to make any upfront payment or retainer to receive immediate legal services. Our fees are paid only after we have successfully resolved your case by negotiating an out of court settlement on your behalf or win your case at trial.